A win against Bahrain will be enough for India to directly seal a berth in the next round of AFC Asian Cup in UAE. 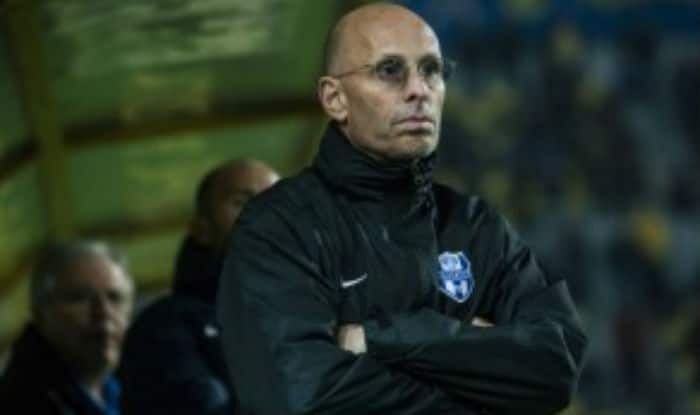 Ahead of the all-important clash against Bahrain, India’s coach Stephen Constantine said that his side has the capability to qualify for the next round in the ongoing AFC Asian Cup UAE 2019. “I’ve said it before that we can qualify from this group. That is our objective right now,” said Constantine. Group A, where India is placed, is currently balanced on a knife’s edge, with all four teams still standing a chance to qualify for the Round of 16. While hosts UAE lead the proceedings with four points from two games, India and Thailand are close behind with three points each. The Blue Tigers are ahead of the War Elephants on the virtue of a better head-to-head record, while Bahrain lies bottom with one point. A win for India will be enough to directly seal a berth in the next round, although, with four best 3rd placed teams among four groups also advancing to the Round of 16, a draw may also see India through. “If we win, we don’t have to worry about anyone else. So we’ll focus on ourselves and see what happens from there,” Constantine stated. “It’s an important game for us. Obviously, we want to do well and get the three points. I’m not sure whether we can call it ‘do-or-die.’ That’s a bit too dramatic, I think,” the coach expressed. “They defend very well and are very well organised. I’m sure that it will be difficult. But we have shown that we can score against good teams. I’m sure we can score tomorrow as well,” he maintained. So far India and Bahrain have faced each other seven times. While Bahrain have won five times, India have just managed a solitary win, with the other match ending in a draw. In fact, the last time that the two teams squared off was in the 2011 AFC Asian Cup in Qatar where India lost 2-5. Nevertheless, Constantine chose to see Monday’s encounter as a standalone where India stands a chance of bagging a victory. “I don’t believe in records. There are a lot of factors that come into play. When was the last time we played them? Was it the same team? What were the circumstances? Everything’s always changing,” said Constantine. “What we do know is that Bahrain have qualified, and deserve to be where they are. They are not going to let this go without a fight,” he signed off.